Classic car collecting and restoration is a popular hobby practiced by individuals all across the United States, and even the entire the world. People love classic and antique automobiles for a number of reasons. They may see it as an investment opportunity, a chance to relive childhood memories, or the perfect time to live out their life-long dream. Many individuals choose to buy a classic car, because it presents an opportunity to invest and resell for a profit. If you are a mechanic or know a lot about cars, then it can be the perfect past time for you. The decision to purchase a classic car can be an emotional one. You can be driven by the desire to own the model you loved as a child or the car your dad drove. Whatever your reason to purchase a classic vehicle, we are here to help guide you. Not only are we here to assist you in making a smart purchase, but we can help you with transporting your prized possession after you buy. Shipping your car with National Dispatch provides you with peace of mind. You can relax knowing that your classic vehicle will be transported with the utmost care. 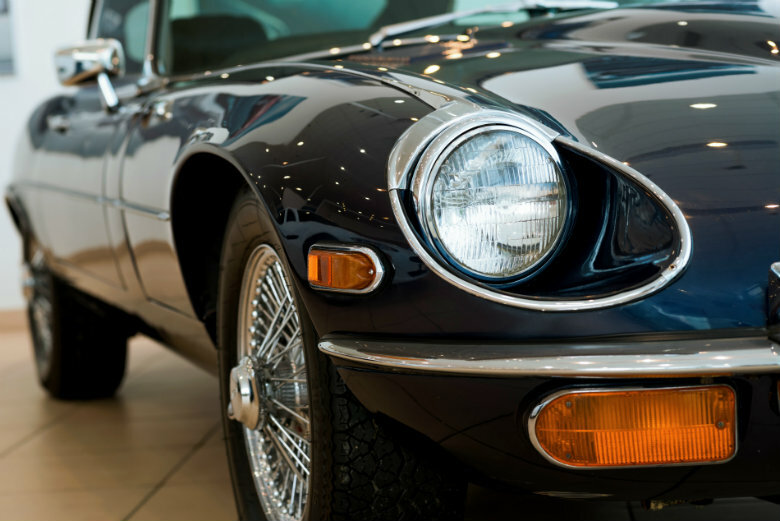 Purchasing a classic car is exciting, but there are also some items to consider before deciding on the car you want to take home. There is a lot that goes into purchasing a car, old or new. You must decide on the model you like best, search local listings or online classifieds, and transport the vehicle back home. We have assembled a list of tips to help you in making an informed decision. Decide why you want it. What are your reasons for buying a classic vehicle? Maybe, you want a classic car for one of the reasons we already mentioned. On the other hand, you might have hopes of entering a classic car show. Think about why you have a strong desire to purchase one of these vintage models. Consider if you are prepared for the time, money, and maintenance that comes with this type of investment. Also, consider a storage location. Most classic car collectors only use their vehicles for occasional drives. Do you have a garage to protect your car when it is not in use? Make a wish list of features you want in your classic car, such as the desired color, engine, body style, and interior trim. Ask yourself which features you absolutely need. You may already have an idea of the classic vehicle you want, but this will help narrow down the choices. Research the positives and negatives of each model you are interested in. Read as much as you can on the cars you like. Read buyer’s guides or ask people in owner’s clubs for advice on purchasing a particular model. Find out if one model is prone to certain problems. If so, what? And how much would it cost to fix them? If you are not handy or do not know much about cars, it may be a good idea to get the advice of a trusted mechanic on potential models. Plus, if any mechanical issues arise or if repairs are needed, you know where to send your classic. One of the most important tips in purchasing a vehicle, no matter the make, model, or year, is budgeting your money. Decide what your budget is and what you can afford to pay for a car. This will be the ultimate decision maker. Set a budget, and stick to it. 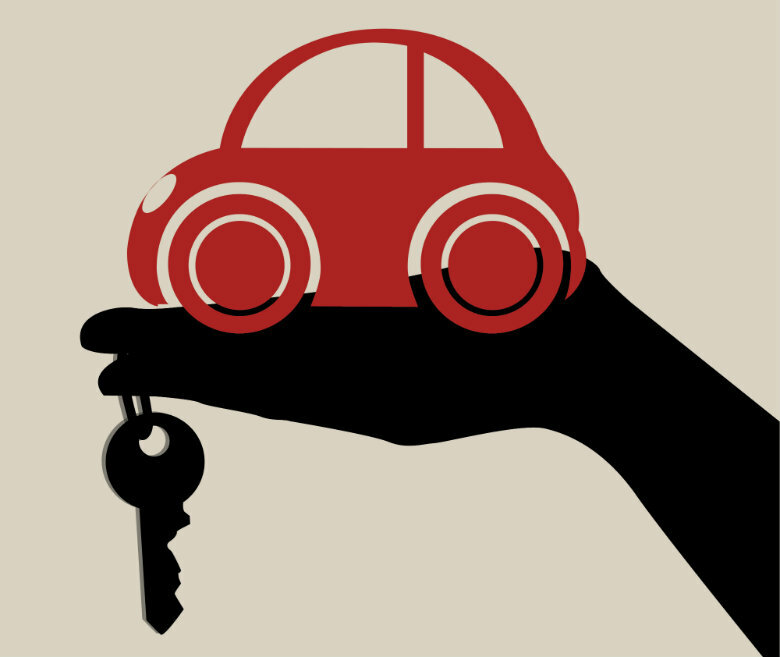 Make sure you include the cost of insurance, as well as the cost to get the vehicle to your house. It is best to use a reliable car shipping company to transport your vehicle to your home. Your car will be protected during transit, and you can rest easy knowing that your new purchase is being cared for properly. Older cars demand more attention. Meaning, they need more frequent servicing, which can be costly and time-consuming. You should budget for the cost of maintenance and repairs by setting aside a special fund. This is especially important if you intend on buying a fixer-upper. Whether you are looking at a car from a dealer or private seller, make a phone call first. A phone call could save you time going to look at a car that may not be the best fit for you. Ask a lot of questions. It may sway your decision in either direction. You may find out that your dream car is not the right car for you. Arrange a time to look at the vehicle. Conduct a visual inspection to look for signs of rust or poor restoration jobs. Test drive the car. You never know how you will feel behind the wheel. When you are ready to make an offer with the dealer or owner, remember to be courteous. If the vehicle has any obvious problems, discuss your findings with the owner. You can use these to help negotiate to get the best price. Make an educated offer by knowing the car’s value, first. You can check pricing on online sites, in magazines, or with trusted individuals. Whether you are buying a car online or in person, you can conduct your own inspection by running a VIN report and checking the Blue Book value of the vehicle. Always know that you can walk away if the pricing falls outside your budget. Which Classic Car Should You Buy? 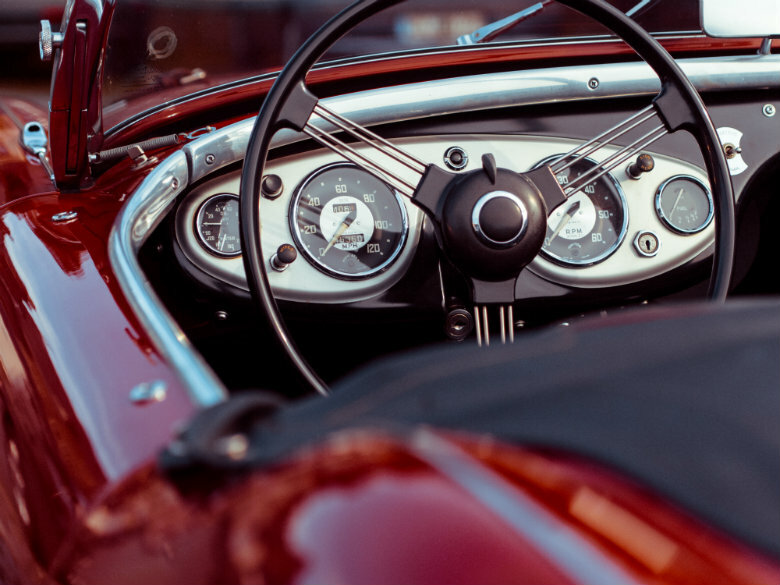 If you are a car enthusiast, you likely have a fantasy involving getting behind the wheel of an iconic, vintage vehicle. There are numerous models that have earned their place in history, from the sophisticated yet sporty Ford Thunderbird to the fun Volkswagen Bug. If you were to survey collectors to see what their favorite model and year would be, you would receive a variety of opinions. Therefore, we have created our own list of makes and models that have been adored by collectors all across the globe. The Ford Mustang is beloved by people all across the world for its iconic history. The sports car has been manufactured for over fifty years, making it the second-longest running sports car in the United States. The car provides a reliable form of transportation, while also offering consumers with variety and the ability to customize. Some of the more memorable models include the 1965 Shelby GT 350, 1967 Shelby GT 500, 1970 Ford Mustang Boss 302, and 1971 Ford Mustang Mach 1. The Shelby GT 350 served to influence many of the models that came after it. The Thunderbird was introduced in 1955, and today, it is a car collector’s dream. It served as a sophisticated, personal luxury car with two seats and a V8 engine. Ford manufactured the vehicle in response to Chevrolet’s creation of the Corvette. When it first debuted, it was only offered in the convertible style. Although the two-seater was doing well in sales, Ford decided to introduce a four-passenger option. In 1967, the four-door sedan was added to the lineup. The most popular model years include, but are not limited to the 1955, 1958, 1965, and 1967 Ford Thunderbird. The first Corvette was introduced to the market in 1953. It is now one of America’s favorite muscle cars, marking almost sixty-five years in the making. It remains an American icon for its horsepower and performance. Newer models can hit the sixty mile per hour mark in 3.6 seconds. Each Corvette model offered something a little bit different, whether that be in the body style, trim work, or under the hood. Some of the more popular models include the 1955 Corvette V8, 1963 Corvette Stingray Split Window, and 1970 Corvette Stingray LT-1. The classic Porsche 911 was meant to be a luxury sports car. Porsche began manufacturing the original model design in 1963. It is beloved by collectors for its style, performance, and features. The 911s feature the engine in the back and the trunks in the front. This is not commonly seen in many American vehicles, other than Volkswagen. Some of the favorite Porsche 911s of all time include the 1965 Porsche 911, 1973 Porsche 911 Carrera RS 2.7, and 1984 Porsche 911 Carrera. Mercedes introduced this model in 1954 at the New York International Automobile Show. Soon thereafter, it became known as the “Gullwing”, because of its unique upward-opening doors. Approximately 1400 models were made in a three-year time span, some of which having an all-aluminum body. The original Gullwing came in Silver. However, there were other options available per special request. In 1959, the Roadster branched off of the Gullwing. Although it resembled the Gullwing in appearance, many revisions were made. The 300 SL Roadster was produced up until 1963. If you are looking for a fun vintage vehicle, then the Volkswagen Beetle is for you. After all, what other car can you think of that came with its own flower vase? The Volkswagen Beetle, or Bug, has a long production history, starting way back in 1938 until 2003. It became popular for its role as Herbie in Walt Disney’s 1968 film, The Love Bug. Not many major changes occurred in the design of the Beetle until the late 1990s. The rear windows did change over the years, however. The split-rear window design was replaced with a single oval rear window in 1952. Then, again in 1958, Volkswagen made the window even larger for visibility. The Chevrolet Camaro, both classic and otherwise, is a well-sought after vehicle. The first generation Camaro of the 1960s is widely popular, because it includes the very first Camaro models ever produced. Although the generation only lasted a few years, hundreds of thousands were manufactured. Unfortunately, they may be hard to come by. The second generation Camaros lasted from 1970 until 1981. One valuable model of this generation is the Z28 Rally Sport, known as one of the best Camaros ever built in the muscle car era. The third generation introduced a different body style. It was more sleek, rather than rugged. This generation lasted into the 1990s. If you are looking for a tough vehicle capable of conquering a variety of terrain, then a Jeep may be for you. A classic Jeep is made in either the Willys Jeep model used in war times or branched from that model in style, shape, and overall design. Due to the Jeep’s prior history in the military, it is known for being a long-lasting, reliable four-wheel drive vehicle. A few of the most popular models include Willys MB, Jeep M38A1, Jeep CJ-5, Jeep CJ-7, and J10 Shortbed. The CJ-5 served to later influence other models, including the Jeep Wranglers. Classic cars are not just another car. To their owners, they hold great sentimental value and importance. This is why it is crucial you take the time to find a reliable car shipping company to ship one of your most prized possessions. National Dispatch is a leading provider of auto transport services for all types of vehicles, including classic cars. We transport vehicles all across the United States. Therefore, we will deliver your car anywhere in the nation with our licensed, insured, and expedited auto transport services. Classic car owners choose to ship their vehicles with us, because they know their car will be transported safely to its destination. We offer enclosed auto transport services, in addition to the standard open auto transport method. An enclosed carrier provides added protection by safeguarding the vehicle from the weather and road elements. This gives the owners the peace of mind they need. Requesting a quote could not be more simple. Go to our website at www.nationaldispatch.com. There you will find our easy-to-use online car shipping quote calculator. No personal information is asked of you, just four simple fields: vehicle make, vehicle model, pickup location, and delivery location. After submitting the form, you will receive your free quote in seconds. You can also call us at 800-321-2051 to speak with one of our representatives.